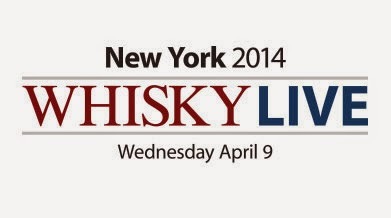 Whisky Live New York is April 9th! Get your discount code here! Our regular readers know that Whisky Live is one of our favorite whisky events. This year, Whisky Live is celebrating the 10th anniversary of its New York event. Held at the Chelsea Piers, Whisky Live New York offers a stunningly beautiful venue right on the water that is spacious and wide open, allowing everyone plenty of room to move around. The food is also always very good, but this year, the dinner buffet will be a lavish, bourbon-themed one sponsored by Four Roses Bourbon. Whisky Live New York will offer over 300 whiskies, including premium single malt Scotches, Bourbons, ryes and Irish whiskeys, but also whiskies from India, France, Japan, Australia and elsewhere. The event also offers attendees a chance to ask distillers and brand representatives about their work and the industry in general. At Whisky Live, you’ll find big brands like Glenmorangie, Laphroaig and Johnnie Walker featured side by side with boutique distilleries, like Dutch’s Spirit in Dutchess County and Red Hook’s Van Brunt Still House. Updates on the show’s lineup will be broadcast on Twitter (@WhiskyLIVEUSA) and Facebook over the next few weeks. Rest assured: a crazy good time will be had by all. This year’s Whisky Live New York is also part of Tartan Week NYC, a week-long event that features art exhibits, concerts, parties, fashion shows, a 10K road race through Central Park and the annual Tartan Day Parade down 6th Avenue (Saturday, April 5). See www.tartanweek.com for more details. Or don’t. We don’t really care. We’re just planting seeds. Harvest what you will. 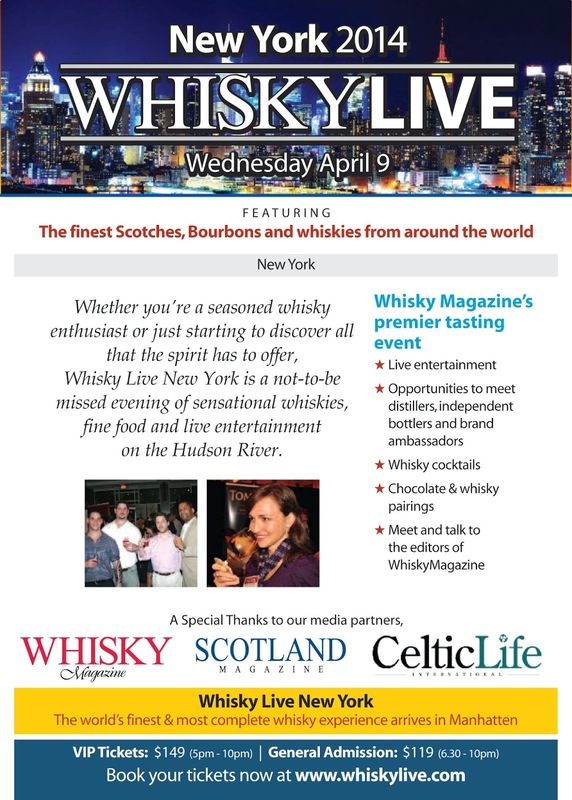 Whisky Live New York takes place on April 9 at Pier Sixty, Chelsea Piers, 23rd Street on the Hudson River. The event starts for VIP ticket holders at 5PM and tickets are $149. Standard tickets are $119 and allow entry at 6.30PM. The event ends at 10PM, with last pour at approximately 9.40PM. Every guest receives a complimentary Glencairn crystal tasting glass. For tickets, please visit www.whiskylive.com/usa/98/new-york-2014. We’re very pleased to be able to offer our readers a 10% discount: just use the discount code WLNY at checkout. Order early and often.